If you’re like me you probably have at least 5 magazines or holiday catalogs (or mysterious Maxims??) laying around or sitting on your coffee table. 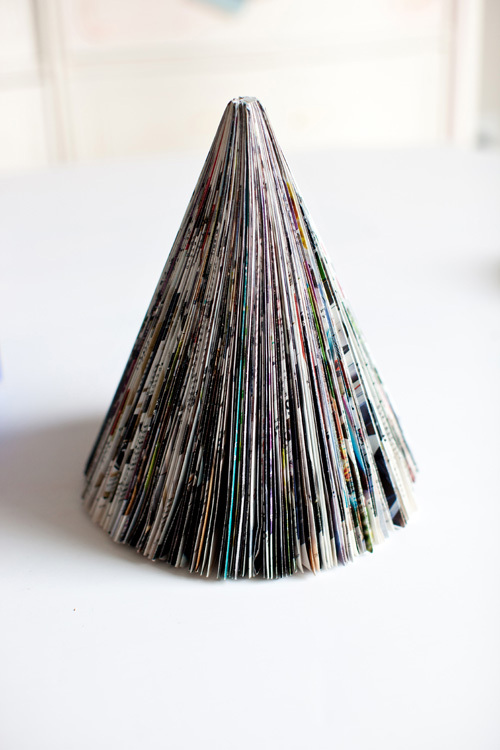 Hopefully you recycle them, but do you want a cool way to UP-cycle them? Some of you may remember this craft from elementary school but we’re bringing it back. These are super cheap to make because the main material is free or reused. 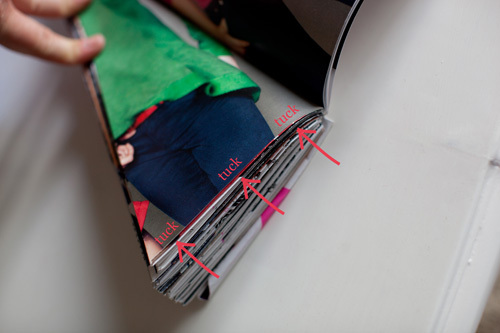 Used magazines work best but if you’re working with a new one, just open it to break the spine. I put together a step by step tutorial with photos below. A bone folder is a great tool to have for this if you plan on making a few and want to avoid paper cuts. I know a few readers were hoping to see a Maxim themed tree but I’ll work with a Glamour for our more shy readers. 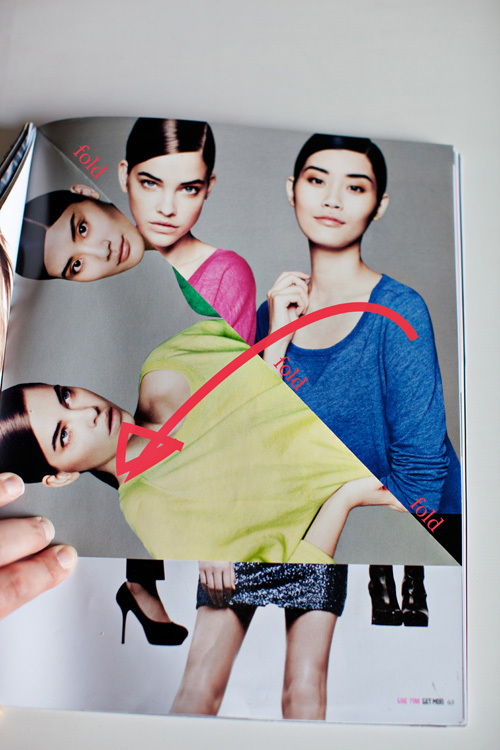 Step 1: Fold the top right corner into the spine of the magazine. 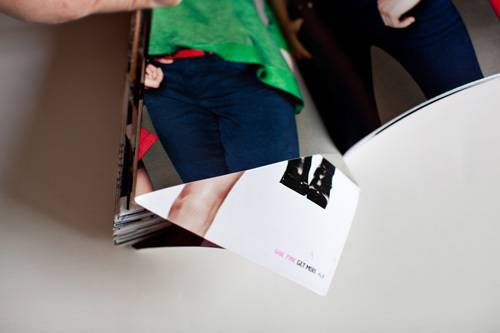 Step 2: Fold the same page into the spine again. 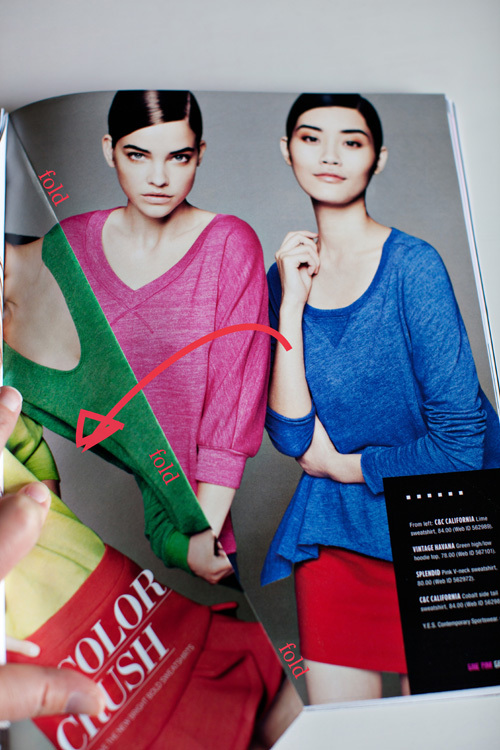 Step 3: Turn the page and you’ll see the corner piece form a triangle. Step 4: Fold the triangle up to make the bottom flat. 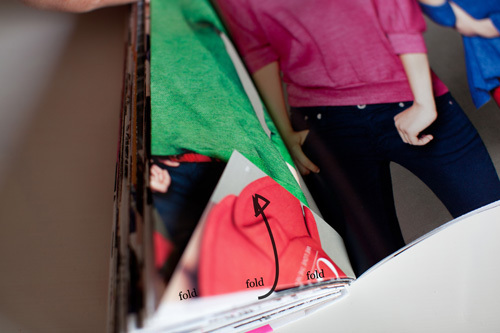 Step 5: Keep folding all of the pages the same way and your magazine should naturally make a full tree. If you have a gap just use tape or glue to close it. 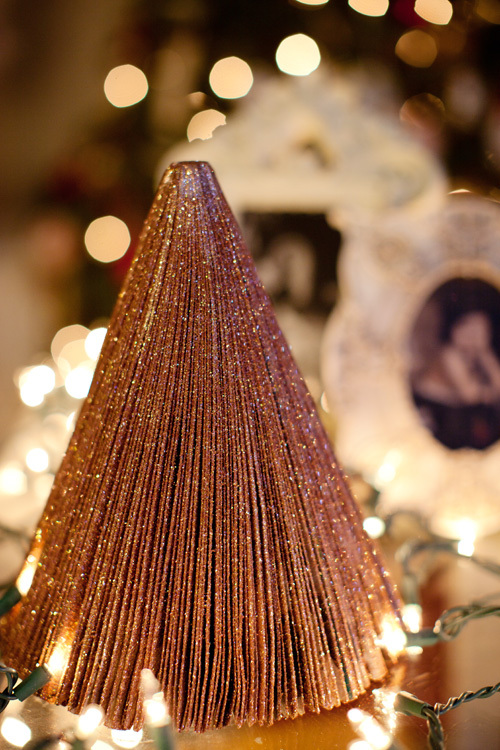 I think the tree looks pretty nifty just like this but if you want to glam it up a bit, spray the tree with adhesive and then cover it with glitter. These glittered versions are very popular at the White House! These are addicting and now you’ll never look at a magazine without being tempted to fold it into a tree. You can store these in shoe boxes to enjoy for years to come! My Mom & I made these when I was a kid – the short Reader’s Digest were a favorite! And that reminds me of Mom’s favorite – she made a cone from chicken wire then she went out and trimmed the hedge (ours was podacarpus) and she soaked them in water then inserted them in the cone. She had the kids make small ornaments to hang on it! If it dried out – she would just take her shears to the hedge again!! You’re right, Brenda! Readers Digests make the cutest trees. Thank you for sharing that story. I’d love to try your mom’s craft sometime! Thanks for the idea. Merry Christmas!